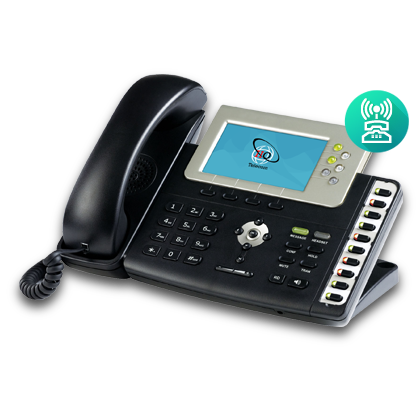 If your business needs a flexible phone system that’s both cost-effective and able to grow as you do then VoIP is an extremely attractive option that is likely to provide the functionality you require. With an easy set up process you can start very quickly and because there aren’t any maintenance or support charges you’re able to keep a tight control on your budget. Furthermore, because all you need is a reliable broadband connection you’re probably ready to switch over right away. If your staff are mobile then they’ll be able to connect anywhere with a broadband connection, including overseas offices, keeping them on top of work at all times. For a business that aims to be truly alert to customers’ needs while taking advantage of opportunities as they arise VoIP can help you achieve these goals. Furthermore, because your VoIP number isn’t area specific, home workers will appear to make calls to customers and contacts from the office and if your business moves you’ll keep the same number, meaning that a switch in location won’t result in any lost sales. Call us today on 0844 844 8585 for a flexible and affordable telecoms service.